Injection of CRISPR/Cas9 RNA into mouse embryos, a service now available at Emory, enables rapid generation of genetically altered mice. Image courtesy of Karolina Piotrowska-Nitsche. On Friday, March 25, 12 - 2 pm in School of Medicine 178P, talks from core director Tamara Caspary, as well as Emory partners, will explore CRISPR/Cas9 gene targeting capabilities. This is part of a series of events this week highlighting what Emory's core facilitites offer. More here. The CRISPR/Cas9 gene editing system has received a wave of attention in the last few years. Behind the glossy magazine stories and the bioethics summits, CRISPR/Cas9 is a set of tools that scientists can use to make precise changes in the DNA of living cells. Researchers who work with mice to model human disease have enthusiastically taken up these tools. Projects that may have taken years using older techniques, such as examining the effects of disrupting several genes at once, now take just a couple months. It’s also easier to produce more subtle changes, like tweaking just a few DNA letters in a gene in a way that simulates a variation found in humans. The Emory Transgenic Mouse and Gene Targeting Core, one of the Emory Integrated Core Facilities, is now making these techniques available to the research community as a paid service in partnership with Sigma/Millipore. Genetically altered mice can be generated in Emory’s specific pathogen free/viral antibody free facility and delivered to the investigator. “The Emory Transgenic Mouse and Gene Targeting Core is a state-of-the-art facility that has an outstanding track record in the production of genetically altered mice for investigators at Emory and outside institutions, within and outside of Georgia,” says Tamara Caspary, PhD, the core’s scientific director and associate professor of human genetics at Emory University School of Medicine. “We have invested institutional funds and worked closely with Dr. Caspary to develop this capability at Emory, in order to help our investigators advance their research,” says Michael E. Zwick, PhD, assistant vice president for research in the Woodruff Health Sciences Center and assistant dean of research in the School of Medicine. The Transgenic Mouse and Gene Targeting Core, in operation since 2001, provides a range of services to aid in the generation, transfer or preservation of genetically altered mice. 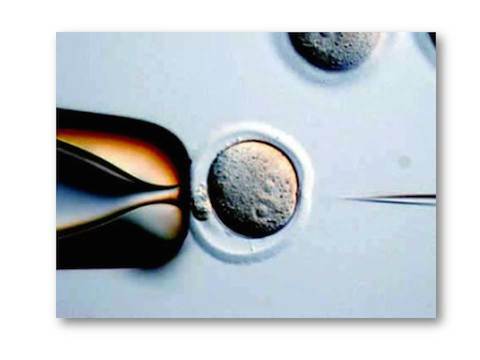 In addition to CRISPR/Cas9 injection, examples include standard and BAC (bacterial artificial chromosome) transgenics, blastocyst injection, in vitro fertilization, embryo re-derivation and embryo or sperm cryopreservation. Christopher Raymond, PhD, recently joined the Transgenic Mouse and Gene Targeting Core as associate director. He has experience in mouse genetics at University of Minnesota, Fred Hutchinson Cancer Research Center and Merck Research Labs. An example of a recently completed CRISPR/Cas9 project: mice that have variations in a gene that controls inflammation, with the variants matching those observed in humans. A similar project produced a mouse with a variant of an adhesion molecule that affects vascular function. Sigma/Millipore is a partner of the Emory Mouse Core, engaged in producing targeting RNAs at the purity necessary for injection of mouse embryos, as well as testing the RNAs’ ability to guide gene editing in cell culture. Prices and more detailed technical information are available on the Core’s Web site.